More and more it seems, food allergies or intolerances to commonly used ingredients such as nuts, wheat, soy and dairy no longer have to keep you from indulging in your favorite foods. 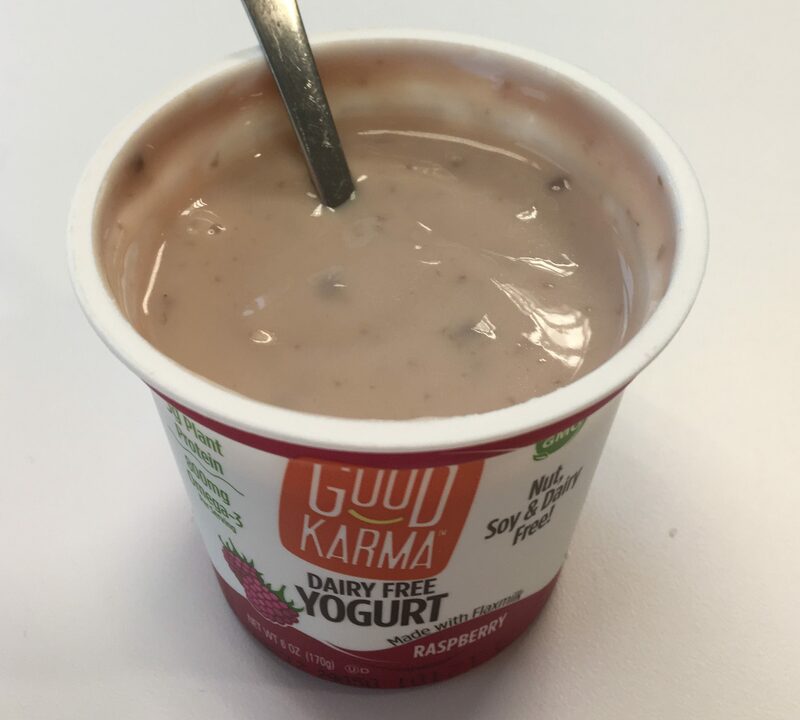 For example, Yogurt lovers who have been missing out on this creamy treat due to a lactose intolerance can now enjoy healthy and great tasting Good Karma dairy-free yogurt, which I recently had the chance to taste test at home, after first meeting product representatives last summer at a food show. 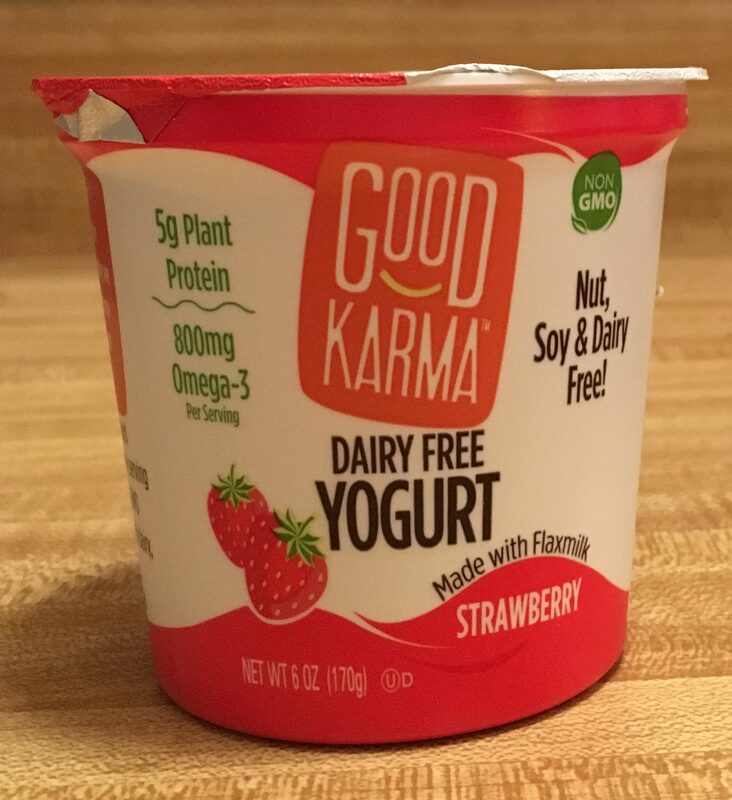 Vegan-friendly and free of major allergens, Good Karma is versatile, creamy, fresh and delicious. This dairy free yogurt is made with flax milk (derived from cold-pressed flaxseed oil) which is a rich source of Omega-3 healthy fats. 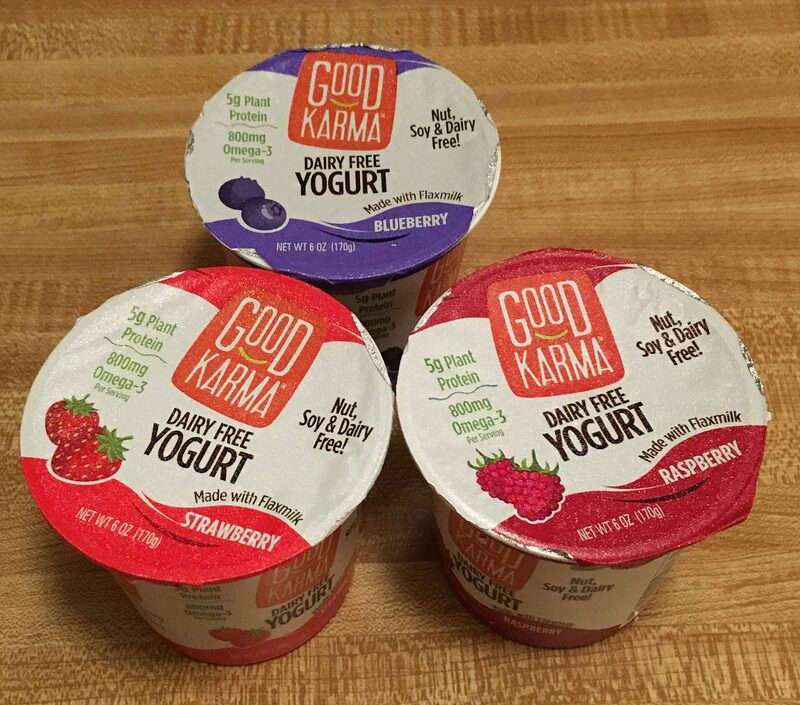 Each serving of Good Karma contains 5-6 grams of plant-based protein, plus 7 live and active cultures to aid digestion. Even better: each 6 ounce serving has only 90 calories! 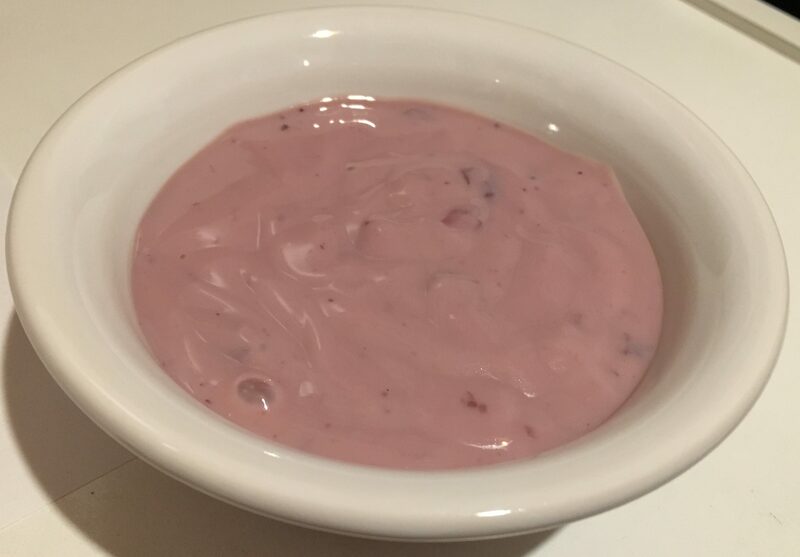 As you can see by the photo above of the Blueberry variety spooned into a serving dish, Good Karma is very creamy in texture and not at all gelatinous, as is Greek-style yogurt. The fruit is already blended in, rather than being at the bottom of the cup, so you get a very consistent fruit flavor in every bite. Using plant-based milks, the company’s goal is always to create a delicious yogurt that gets as close as possible to a traditional dairy yogurt, while also being free of all major allergens, with added protein and a tangy, fruity taste that makes you smile! 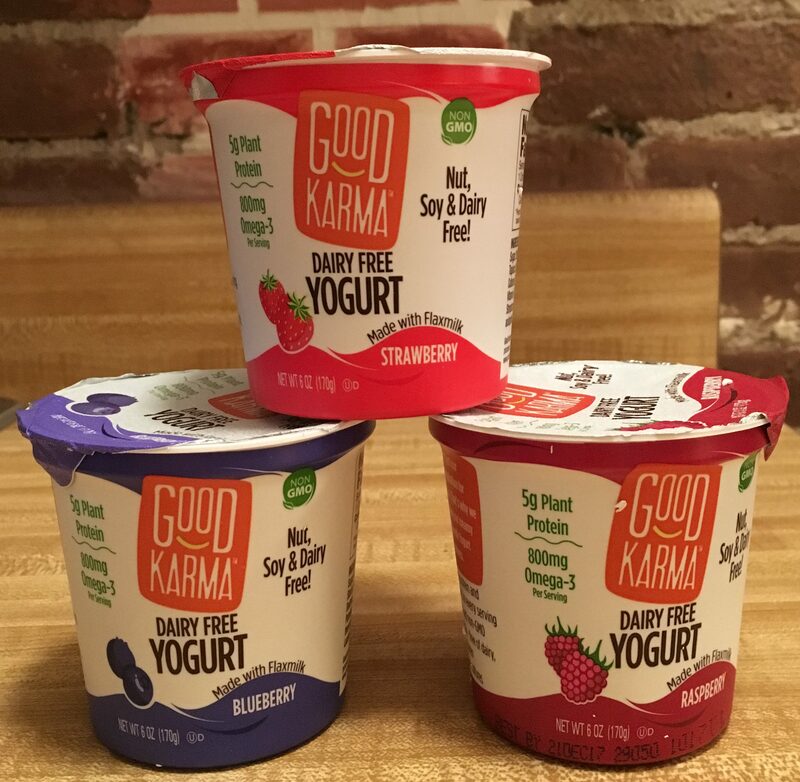 Besides these three luscious fruit flavors, Good Karma dairy free yogurt also comes in comes in Plain and Vanilla varieties. 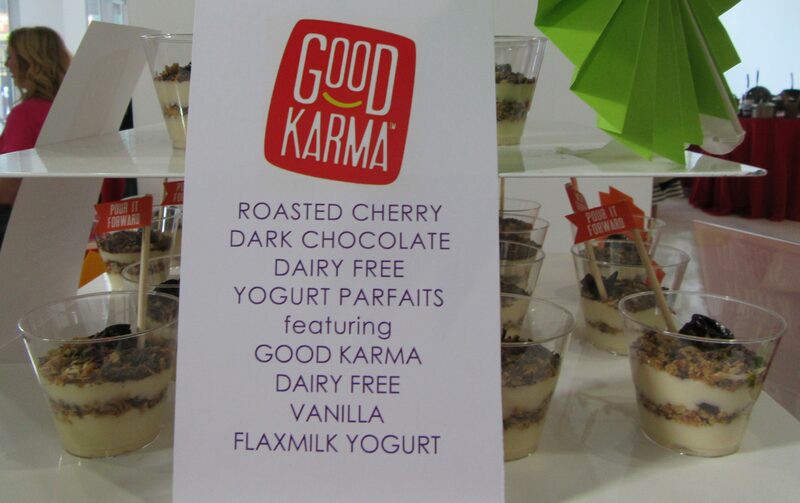 I tasted the Vanilla Good Karma at the aforementioned food show, where I was served a tasty fun yogurt parfait recipe that knocked my socks off! 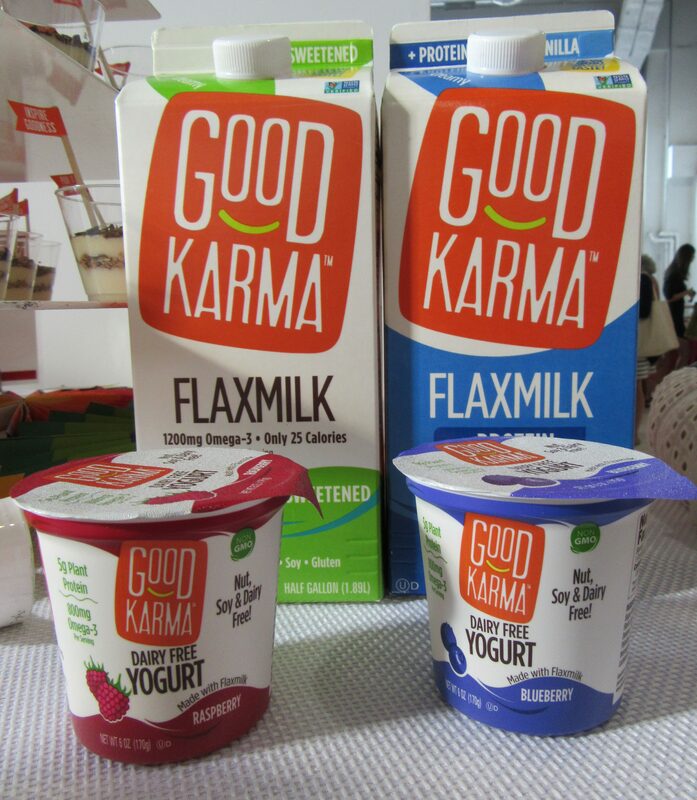 Find out more about Good Karma dairy-free products (made with Flax Milk, which, as you can see below, they also offer), plus get recipes like the one you see above, and download money-saving coupons good towards your first purchase of Good Karma, at this link! 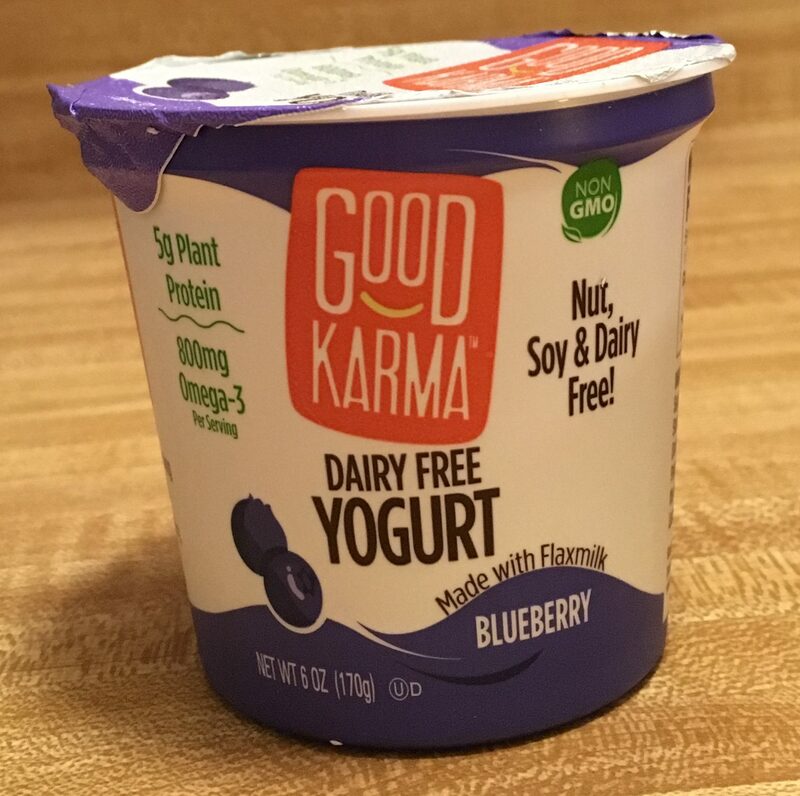 Good Karma Non-Dairy Yogurt and Flax Milk Products!